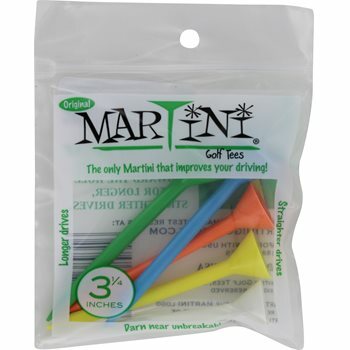 These golf tees are 3 & 1/4" tall, making them perfect for today's larger drivers. The large cup of a Martini tee makes it very easy to tee up your golf ball and they conform to today's USGA rules and regulations. Perfect for all tee shots. If you have not tried these do! Very sturdy and difficult to lose. I don't use these tees myself. I bought them for a friend, and he loves them.